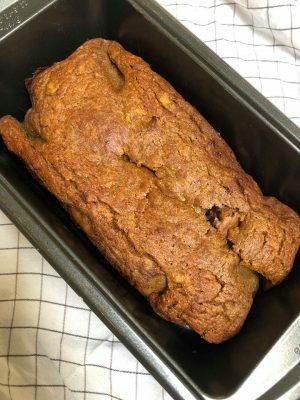 Banana bread is a favorite in our home. I mean its the perfect way to make sure your over ripe bananas don’t go to waste AND its delicious. 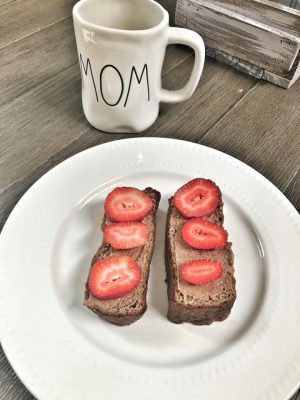 We have it for breakfast, snack, and I love sending it to school in my kids lunch box. You can’t go wrong! Download Your FREE Clean Eats Meal Plan Now! 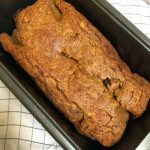 I really wanted to create a version that was gluten and refined sugar free that still tastes delicious and my kids would eat. This recipe totally fits the bill. It is seriously delicious with some almond butter and sliced strawberries on top. Also super tasty with a little butter or even by itself. I make this all in one bowl because who wants to clean up multiple bowls if you don’t have to! So it’s super easy! And you even add some chocolate chips into the batter if you wanted to. 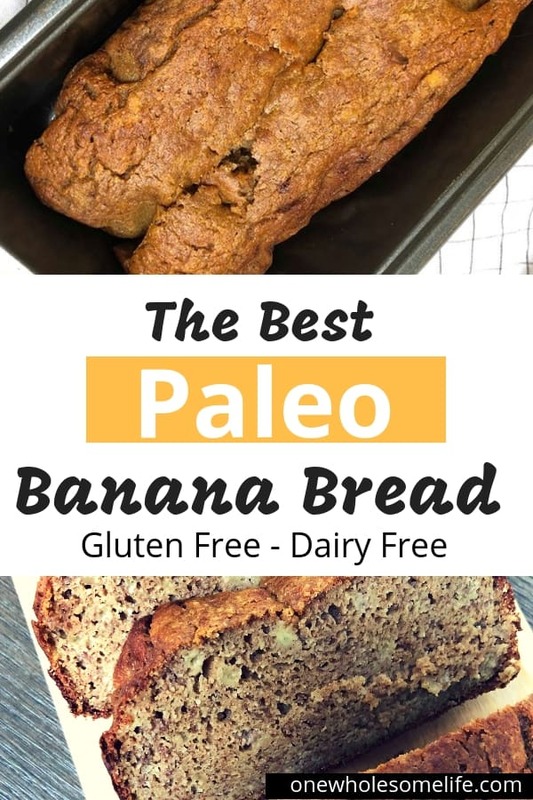 Paleo Banana Bread. Gluten Free. Dairy Free. Refined Sugar Free. Preheat oven to 350 and either grease a loaf pan or line with parchment paper. Mash bananas and whisk in wet ingredients. Add to greased loaf pan and cook for about 50 minutes or until toothpick comes out clean in center of loaf. Wife. 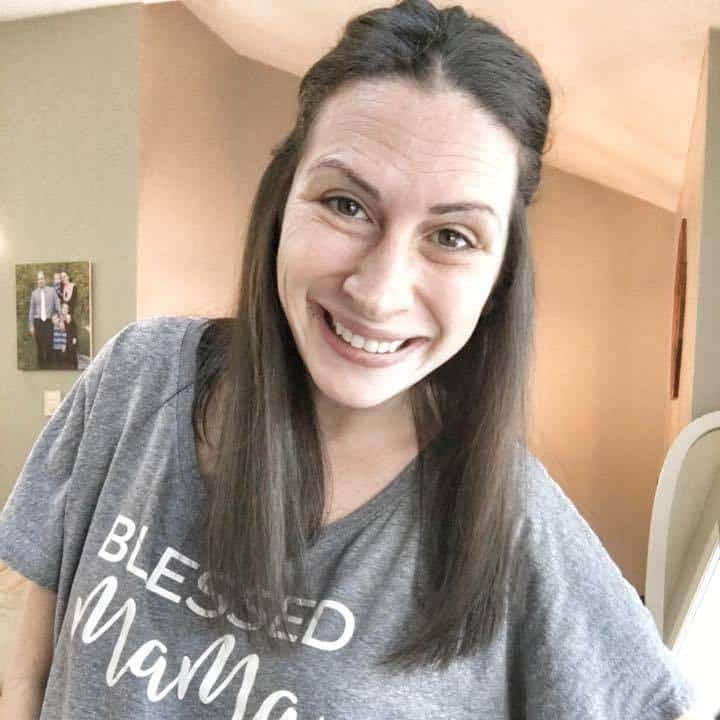 Momma. Lover of coffee, all things chocolate and fuzzy socks. 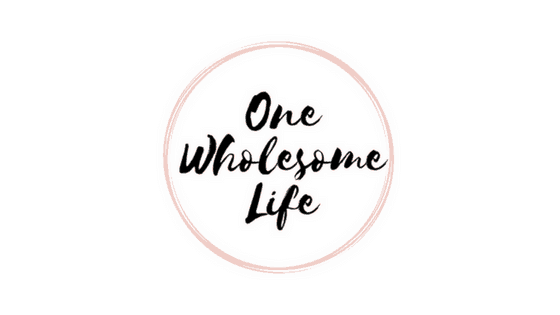 One Wholesome Life is a participant in the Amazon Services LLC Associates Program, an affiliate advertising program designed to provide a means for sites to earn advertising fees by advertising and linking to Amazon.com.